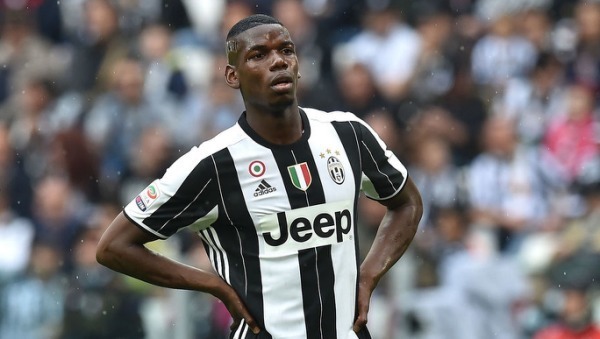 They may have let him leave on a free transfer four seasons ago, but Manchester United look set to be reunited with Paul Pogba. The Juventus midfielder's transfer back to his old stomping ground appears to be imminent, depending on what you read. The fee involved, however, is set to eclipse the £85.1m Real Madrid paid for Gareth Bale in 2013, with United ready to pay a reported £105m for Pogba's services. Pogba's fee is so astronomical that it is possible to buy an entire starting eleven for that price alone. Here's one we've concocted ourselves, with each player's valuation sourced from transfermarkt.com. The 23-year-old shot stopper has impressed since his January 2013 move from Birmingham City to the Potteries. A fractured ankle prevented Butland from being part of England's squad for Euro 2016, but Butland will still pique the interest of many clubs come the 2016/17 campaign, such is his quality. Di Sciglio rose through the youth ranks at the San Siro to eventually make his first-team debut in September 2011. The 23-year-old full-back has since gone on to make the right-back berth his own in Milan, and would be an absolute steal for any club at the reported price of £5m. Toure was released by former club Liverpool at the end of last season as manager Jurgen Klopp set about leaving his own imprint on the first-team squad at Anfield. An experienced old head with a few years still left in the tank, the 35-year-old former Ivory Coast international would be a proven asset for any side. The captain of Swansea City and the Welsh national team, Williams has become synonymous with football in the land of the Dragons. A commanding centre-half, Williams has been linked with numerous Premier League clubs in recent seasons, including Arsenal, Liverpool and Everton. A worthy signing for any established club. The first of two Leicester players on this list, Christian Fuchs helped the Foxes achieve their first ever league title last term. A veteran of the game with the engine to still get up and down the touch line, the Austria full-back would be a coup for any interested party. He may be entering the twilight of his career, but 34-year-old Xabi Alonso can still cut it at the highest level. The former Liverpool and Real Madrid midfielder is still playing regularly for Bundesliga giants Bayern Munich, and his quality is still as apparent as it was all those years ago. In stark contrast to Alonso, Saul Niguez's footballing career has only recently taken off. That hasn't detracted from the 21-year-old's undoubted quality, though, who has featured 95 times for Atletico's senior side already. Already the supposed subject of a £54m bid from Manchester United, Niguez's valuation will only increase as his stature rises. The second of two free agents in this starting eleven, former Arsenal midfielder Flamini is on the lookout for the fourth club of his career. The 32-year-old has already plied his trade with AC Milan, Marseille and the Gunners, and his expertise and destructive capabilities would make him a sound signing for any top tier side. Riyad Mahrez lit up last season's Premier League as he helped Leicester win their first ever league title. The Premier League Player of the Year bagged 17 goals and 10 assists in 37 league games, and his form has already drawn the interest of a number of top European clubs. Don't expect his valuation to be this low when the likes of Barcelona come calling. Like Mahrez, Dimitri Payet was one of the Premier League's top performers last term. The France international's pace, trickery, eye for goal and set piece expertise has seen him become a coveted commodity within the footballing world. Hammers manager Slaven Bilic and fans alike would be loathe to lose their prized asset this summer. Sold and re-bought by Real Madrid after just one season with Juventus, Alvaro Morata's future is once again up in the air. The Spain striker is not expected to be kept at the Bernabeu past this summer, and he would command a high price thanks to his goal scoring exploits for Juve and at Euro 2016. A potential transfer saga to watch during the final two months of the transfer window.